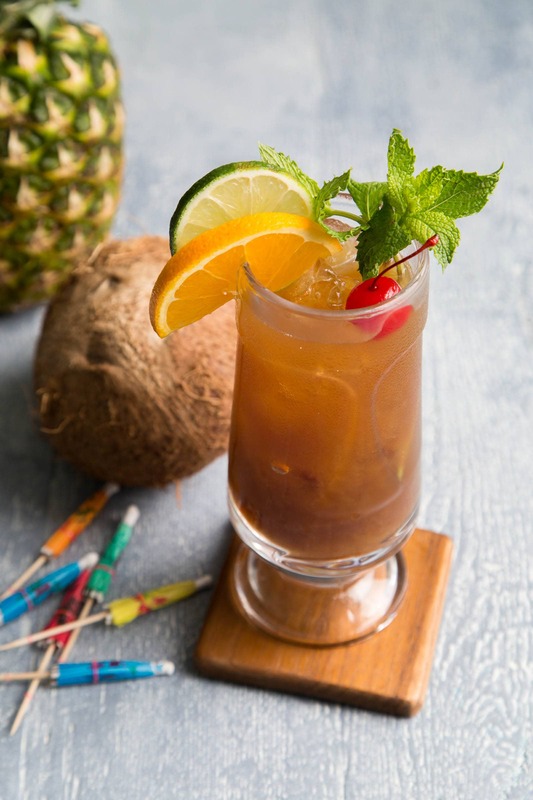 Enjoy a taste of the tropics all year long with this tiki passion pineapple rum cocktail. I’m a big fan of tiki cocktails. The combination of rums mixed with pineapple and/or citrus juices is what I imagine vacation would taste like if it have a flavor. 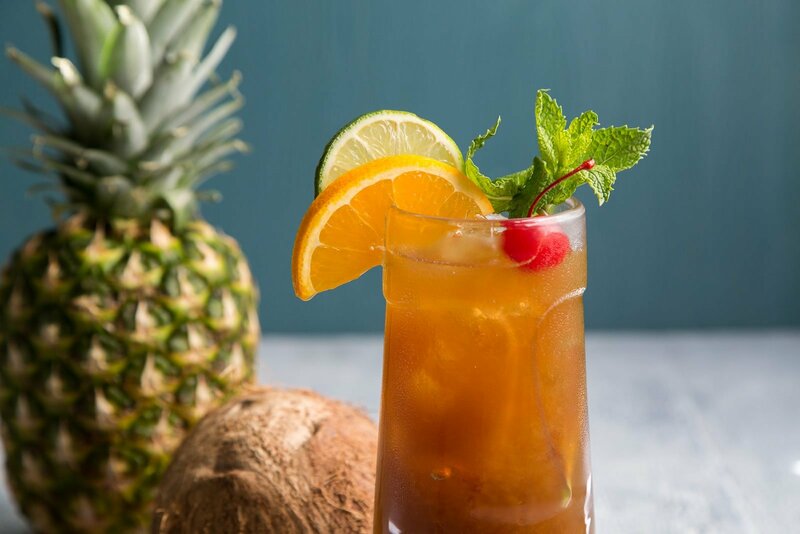 A well crafted tiki cocktail has the perfect balance of sweet, sour, bitter, and booze. I also like all the cool names of classic tiki cocktails: Zombie, Navy Grog, Painkiller, Fog Cutter. Their names are so mysterious. There is no hint as to the ingredients that make up the drink. I am not so crafty with drink names. I present you this tiki passion pineapple rum cocktail. No surprises, no gimmicks, no suspense. I’ve basically listed out the ingredients for you. Perhaps I should rename this “Endless Summer” or “Permanent Vacay” because that’s what I think about when I drink this. I dream for an endless summer of permanent vacations, explorations, and adventures! This is a great introduction drink to the world of tiki cocktails. I only used one kind of rum (dark rum). 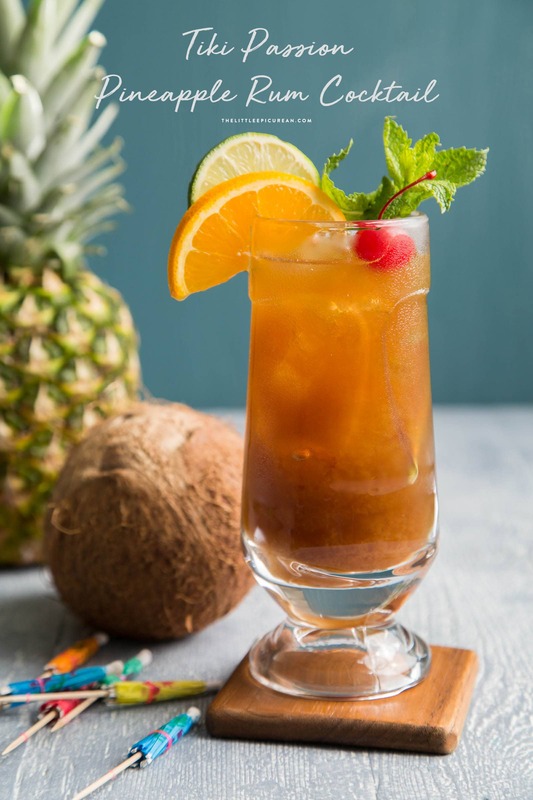 Most tiki drinks contain at least 2 varieties of rum plus the iconic flavors of Falernum or Oregeat. This straightforward cocktail combines passionfruit, pineapple, lime, and orange juice with dark simple syrup and a shot of dark rum. Everything gets shaken together and poured over ice. It’s garnished with your traditional tiki fixings- mint, citrus, and a maraschino cherry. It’s simple, tasty, and super festive…. And it’s the perfect drink to toast for my BFF’s birthday! 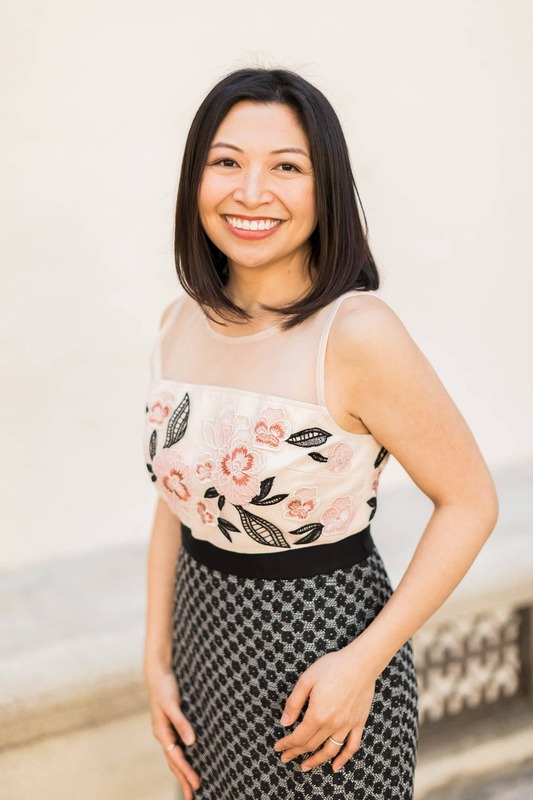 Happy Birthday, M! Cheers to tea, spa days, and Hawaiian vacations! In a cocktail shaker filled halfway with ice, add passionfruit puree, pineapple juice, lime juice, orange juice, simples syrup, and rum. Cover and shake until mixture is chilled. Strain into serving glass filled with ice. Garnish with citrus slices and maraschino cherry. Combine 1 part water with 2 parts turbinado sugar. Bring to a boil and allow to simmer until sugar has dissolved. Remove from heat and allow to cool to room temperature. Keep chilled in the fridge in an airtight container until ready to use. Syrup will be thick. I use this frozen passionfruit puree. It is available online. If you live in the LA/OC area, you can purchase it at Surfas. It is sold frozen. Simply thaw small portions to make this drink. Passionfruit puree is super sour. The flavor mellows out once it is mixed with sugar. Frozen passionfruit pulp/puree can also be found at most chain supermarkets. i think i found my new favorite drink! cannot wait to try this on sunday laying poolside.